Rev Lesley deGrussa-Macauley was inducted into a new placement at Albany Wesley Uniting Church on 21st January 2012. 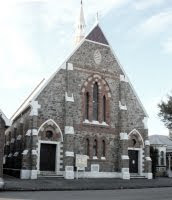 It is one of the oldest churches in Albany. We wish her well in her new placement.